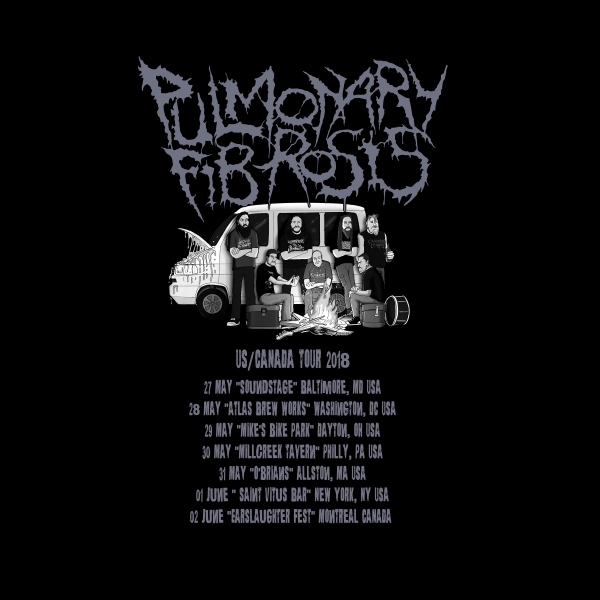 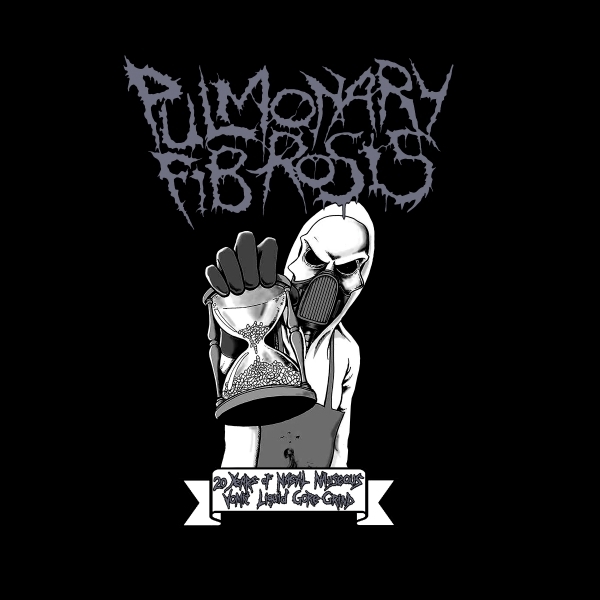 In commemoration of PULMONARY FIBROSIS appearing at Maryland Deathfest, and their subsequent tour that ended with Earslaughter, these limited shirts were printed for the band during their stay in North America. 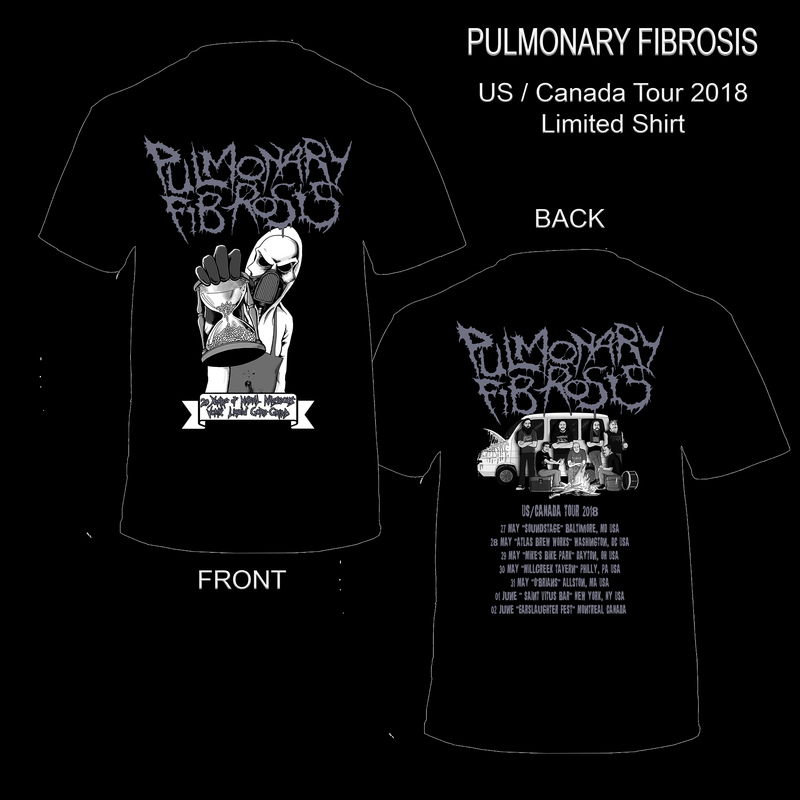 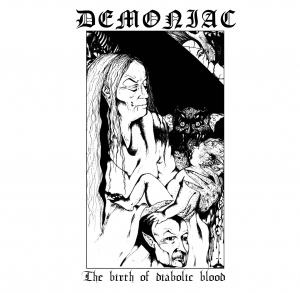 Features front and back design printed on Gildan Heavy Cotton shirts. 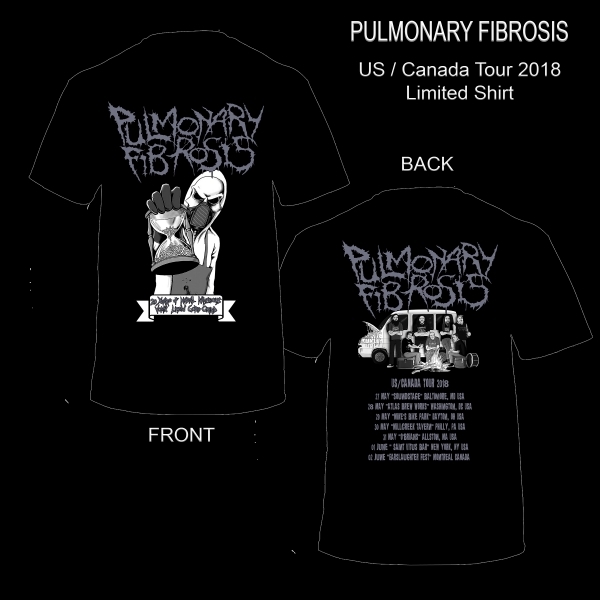 Only 75 of these shirts were printed.